Firuz has been working as a teacher in the local school for over five years. His salary was not enough for his family’s expenses, so he decided to start raising animals. He learned about HUMO from neighbours who were already clients. He liked the loan conditions and got in touch with the organization. He took a first loan of 2,500 somoni (€240) and purchased livestock. In the second cycle, he received 4,000 somoni (€390) to buy seeds and start to grow crops. This business allowed him to improve his financial situation. 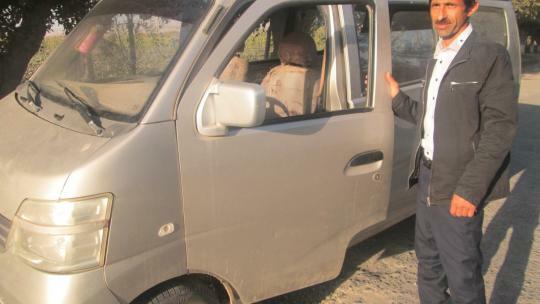 Having transferred this activity to his family members, he bought a minibus and set up a transportation business. Last summer, Firuz applied for a third loan used to repair his vehicle. Firuz is very pleased with the loans he received. His family's budget has increased, as all members now have a permanent and profitable job. Firuz intends to keep working with HUMO in the future, in order to improve his family’s living conditions. He is very grateful to all Microworld members for their help and support. If you want to support others projects in Tajikistan clic here.